Porterweed is a low, sprawling shrub with a subtle beauty. It's a fairly long-lived, semi-woody perennial that should live at least four years. It reseeds after it becomes established, but is not a pest. Flowers open in the morning, and close in the afternoon. Blooms year round. 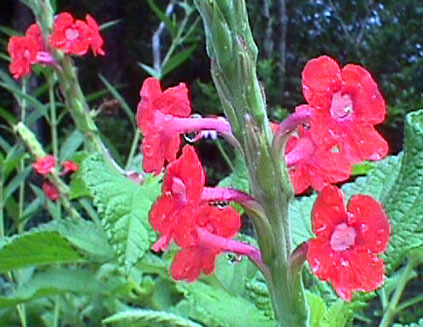 Grows to 3-4' and flowers are blue, purple, or coral. 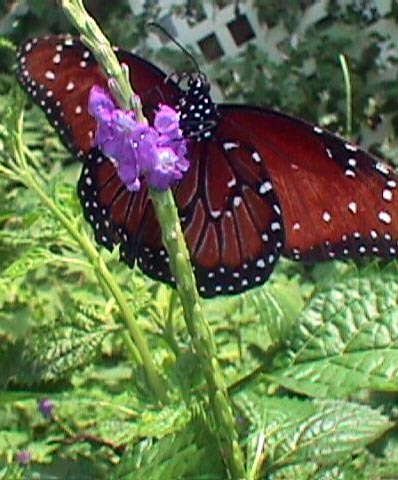 Usually alive with zebra longwings and other butterflies.